The Budweiser Clydesdales are coming to Vero Beach, Florida. VERO BEACH – The famous Budweiser Clydesdales will be at Riverside Park in Vero Beach on March 2 to help United Against Poverty raise awareness. The “Hitch Stop” will also support Burgers & Brews, an American Heritage Celebration, which will be held in downtown Vero Beach on June 30. “This is our third year as a sponsor for Burgers & Brews, and we wanted to do something special to help raise early awareness and build excitement for it,” Southern Eagle Distributing’s Julia Busch said in a statement. 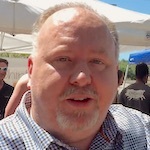 “The Budweiser brand is proud to support events that fund United Against Poverty’s programs that inspire and empower people to lift their families out of poverty,” Busch added. The promenade along Riverside Park in Vero Beach will be the Clydesdales parade route on March 2 starting at 7 p.m. If you plan to watch the parade, be sure to get there early. The Clydesdales attracted 20,000 spectators during the last parade they had in Vero Beach. Some of the United Against Poverty festivities will include a free community celebration from 5:00-9:00 p.m. at Riverside Park’s Grand Pavilion area. 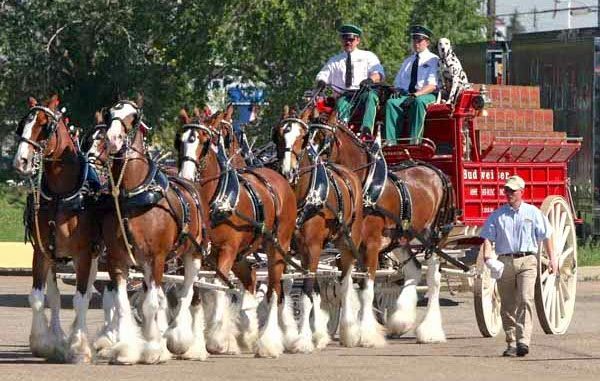 The Clydesdales event will feature live music and select brews from Budweiser, Islamorada Beer Company, Sailfish Brewery and Hoplife Brewing Co., along with featured food favorites from Woody’s Burgers, Waffle Wagon, Scoop Coop and Jimbo Carroll Catering/Café 66; available for purchase. There will also be a special free Kid’s Zone, so bring the children. Limited edition “Red, White & Brew” T-shirts will be available at the United Against Poverty booth along with an opportunity to register for a free drawing to win a five-night cruise for two donated by Filthy’s Fine Cocktails and Beer. Prize drawing tickets for two Elite Airways round-trip tickets to Newark for a $10 donation will also be available. Obituary: Diane Wagner Venuti, Age 75, of Micco, FL.